German silver is famous worldwide for its immense beauty and durability. This alloy is actually made up of zinc, nickel and copper when they are mixed in specific proportions. The ultimate silver-white appearance looks really amazing and can add beauty to the premises wherever these products are placed. The German silver handicraft products are popular worldwide. 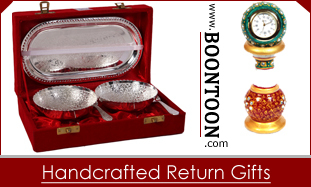 They are considered as best return gifts for special occasions in Indian families and the rest of the world as well. The handicraft items made up of this sturdy material show ultimate resistance to corrosion; hence, they can stay beautiful for the years even when they do not receive additional care. Earlier this material was used to design instruments, jewelry, coins and cutlery as well. 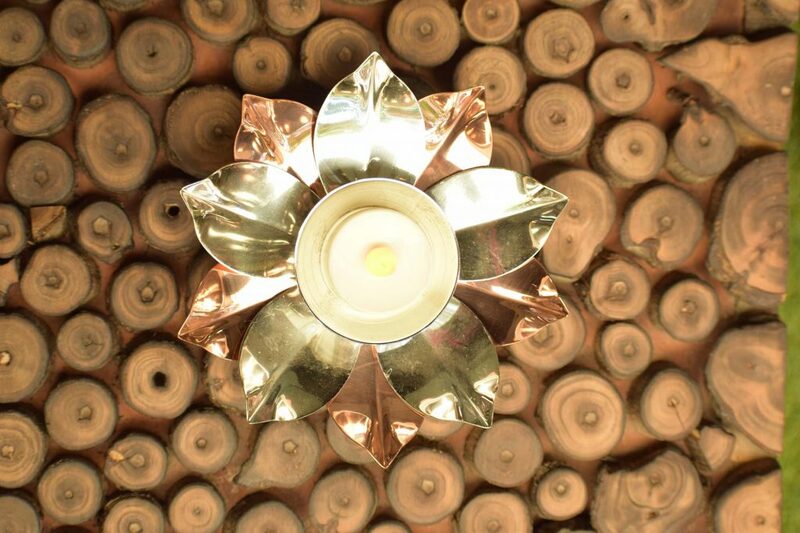 However, the range of products these days is extensive, and all of them are beautiful as well. The bootoon market place is loaded with a wide range of perfectly designed german silver return gift collections. You can find some attractive bowl sets for your kitchen, pooja thali for the special occasion or glass sets to reflect your style in front of guests at home. People also prefer to pick German silver collections for the return gifts on the social gatherings at their home. These products make best return gift item due to their amazing beauty, durability and usability as well. Many of these products are also finished with a two-tone appearance that is the perfect combination of silver gold and white silver. These German silver gifts are currently available in all size, shapes and design ranges. You can easily pick something that fits your budget and can be valuable for your guests as well. There are wide range of collections for every different occasion such as house warming parties, retirement celebrations, Diwali, anniversaries and weddings as well. Whether you are looking for a gift for ladies or want to present it to a newly-wed couple; Bootoon German silver gift collections are always the best choice. Even if you are looking for some attractive gift items for your employees or clients, these German silver collections can add special charm to the occasion. 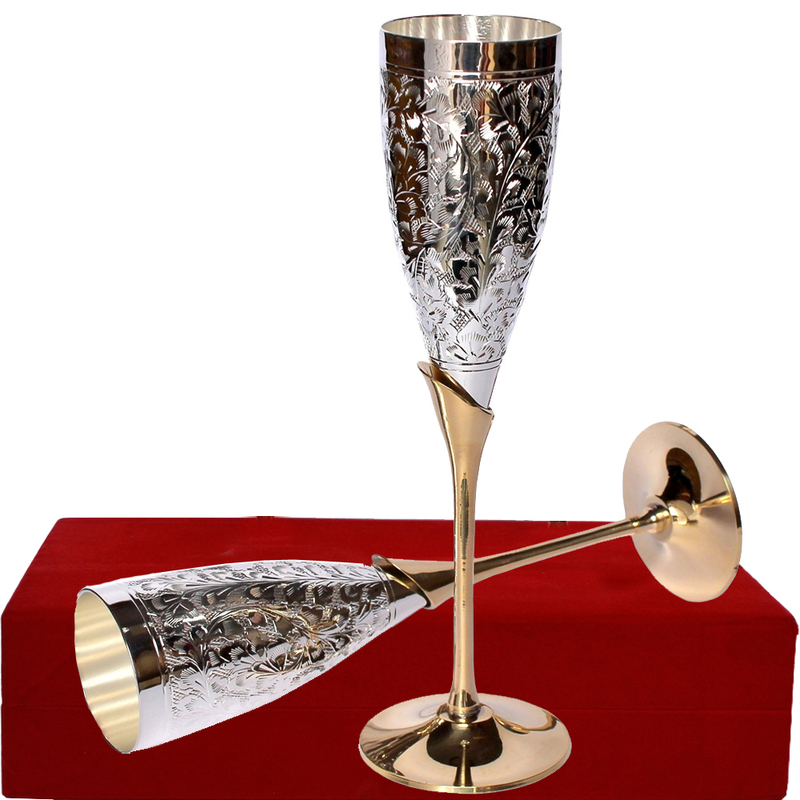 The German silver wine glass set can be the best choice for your clients and partners on the annual day celebration at your company. On the other side, the ornate German silver glass set can be a suitable option for employees. If you are looking for a unique return gift idea on the house warming party; it is good to buy the flower shaped bowl set made up of German silver. They are finished with an attractive golden colour. Those who are interested in picking something on the spiritual side of the spectrum are advised to buy German Silver Golden Pooja Thali as the best gift item for their loved ones. All these products are quite useful and find special space in every house. They can be very useful for routine needs while bringing elegance to space with their ultimate appeal. You can place an order for such unique collections of return gift items on Bootoon.